See you back on the road soon! sorry about your bikes guys! We know how much you love your bikes and these events: hope this helps! because Im a bike lover too! We can’t believe the generosity of you guys. We’re not sure if we’ll raise enough money to get the same bikes...but, we will get something….and that’s awesome! Thanks again for sharing and all your help! My wife and I are avid mountain bike riders and we participate in all types of biking competitions and events. 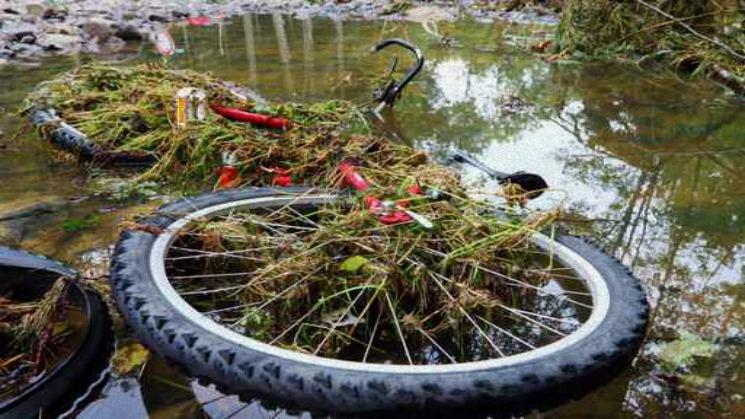 When the floods hit us here in Texas in May, our bikes were completely destroyed. We have been saving any extra money we have after our bills are paid, but it's just not adding up fast enough. We have several events coming up that we are scheduled to participate in Smithville and Austin this fall and we thought we would do this MoveYourMountain campaign to raise money so we could get new bikes. We have attached a photo of the two bikes that we want to purchase. Hopefully we will have enough to be able to buy these - they are really good bikes and they will last us a very long time. Thank you so much for helping us with this unexpected situation!